Maldivian tourists who travel to Thailand will receive 30-day on-arrival visas starting from this Sunday, reports Ministry of Foreign Affairs. Thailand is a frequent destination for Maldivians for leisure, business and medical purposes. 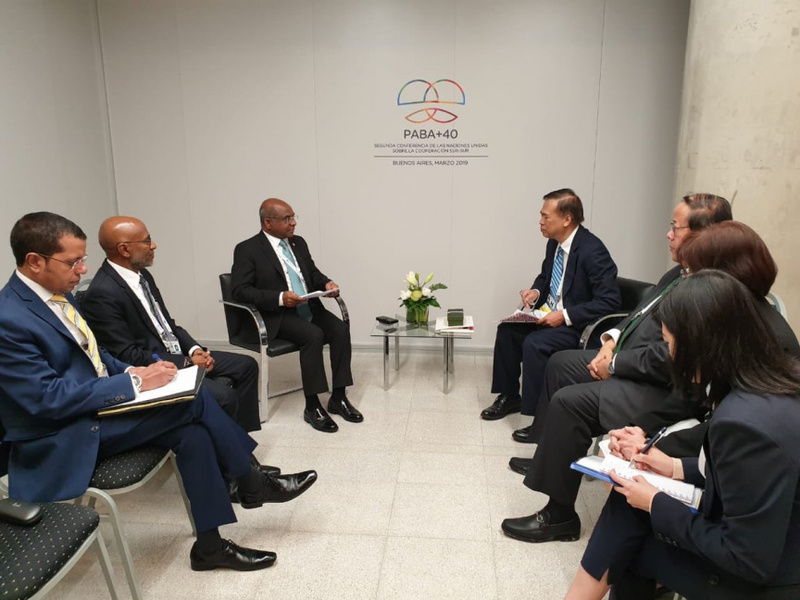 Minister of Foreign Affairs of Maldives, Abdulla Shahid held discussions Thai officials to formalize the visa waiver arrangement between Maldives and Thailand at the sidelines of the United Nations Conference on South- South Cooperation (BAPA+40) in Argentina on March 20. The Ministry of Foreign Affairs issued a statement this Sunday, announcing the beginning of the implementation of the visa exemption policy. It has also detailed the requirements regarding the procedure. When using Thailand visa exemption scheme, stay in Thailand can be extended for an additional 30 days by applying for an extension at one of Immigration offices in Thailand. Stay can be extended once and it costs 1900 THB. Maldivians can enter Thailand without visa through land border checkpoints only twice a calendar year, from 1 January to 31 December. Ministry of Foreign Affairs warns it is illegal to overstay in Thailand. Those caught in Thailand as an overstaying foreigner will be detained and face punishment, however, those who leave Thailand as an overstaying foreigner without being caught will only face a fine and possible ban from re-entering Thailand when exiting through immigration, and will not face any imprisonment or detainment. The fine for overstaying is 500 Baht per day, reaching a maximum fine of 20,000 Baht (when overstaying 40 or more days). Those who overstay for 90 or more days face the possibility of a ban from Thailand. The arrangement between Maldives and Thailand marks the third visa waiver secured by the current administration since it came to power in 2018. It follows the visa waiver arrangement with UAE which took effect on January 1, and the visa concessions and medical visa waiver arrangement with India which took effect on March 11. Ministry of Foreign Affairs reports Shahid has met with government officials from over 50 countries and discussed visa facilitation. Discussions are also underway to facilitate easier application for the Germany-Schengen Visa.